Running is an excellent way to maintain physical health, and studies show that it also has great psychological effects. According to the American Psychological Association, “active people are less depressed than inactive people. And people who were active and stopped tend to be more depressed than those who maintain or initiate an exercise program”. A great way to motivate your team to not only stay active, but set higher goals for themselves, is to sign up and prepare for a local 5K race. Running a 5K will elevate your runners’ max VO2 to improve their fitness and give them the confidence to sign up for more races. One way to motivate your team and ensure they are able to keep moving during the race is to keep them as comfortable as possible. 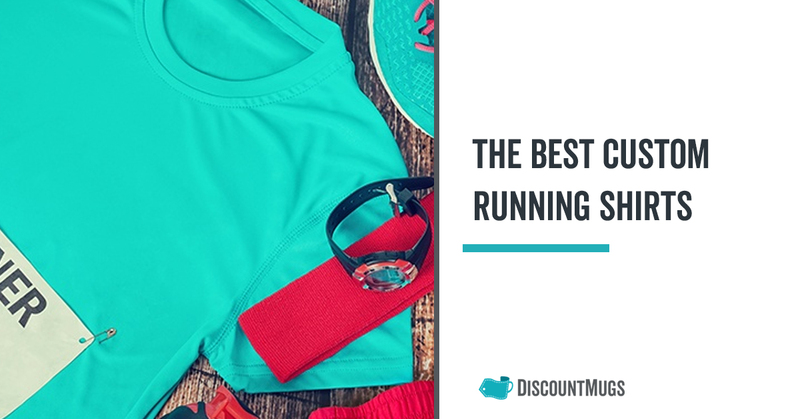 And high quality running shirts can help you and your runners stay flexible and composed while you’re active, whether it’s hot, cold, rainy, or sunny. Along with providing runners with comfortable options, custom running shirts can also help create team spirit and let spectators know who else is a part of your organization. Whether you’re looking for shirts for a track team, a school sports team, or even a group of employees who are joining a corporate race, you can find comfortable shirts for whatever time of year or any part of the country you’re in. Customizing the shirts with your team’s flare will also help your team come together and share a sense of pride as they run their 5K race. Running for any extended period will tire out your body and probably cause some at-least-minor aches and pains. When you and your team are running, you’re putting strain on your bodies, so you should be able to rely on your running shirts to keep you as comfortable as possible. Cotton and other fabrics can trap moisture and heat, which makes them uncomfortable to wear during strenuous exercise. 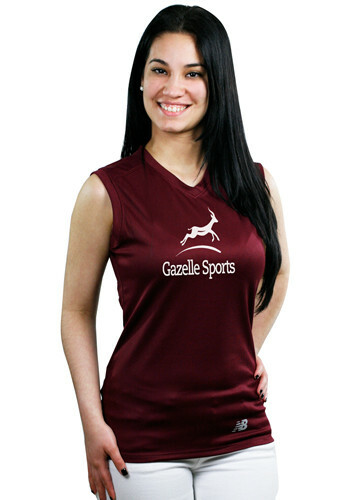 For example, while Nylon is used in trendy workout gear, it can also cause skin chafing if worn in the summer. Moisture wicking fabrics are great to wear during any strenuous exercise in both hot and cold climates. They’re made of fibers that pull moisture away from your body and push it to the surface of the material, where it evaporates. These fabrics keep runners comfortable and dry no matter how active they are, and they’re a perfect option for both warm and cool weather. If you and your team are participating in any 5K race that takes place in warmer climates or during the spring and summer months, you’ll want to know that your running shirts will be able to keep you cool and dry. These New Balance Athletic T-Shirts are made from 100% polyester moisture wicking and antimicrobial properties that ensure a runner’s sweat is absorbed from the skin and drawn to the surface, much like a pipeline pulling moisture away. Women’s sleeveless tees allow for maximum movement and total comfort. They’ll also wick moisture away while the runner is active, unlike heavy cotton shirts that become heavy and slow your runners down. . Your custom logo or other design prominently featured front-and-center of the shirt, ensures your company, team, or organization is well represented during the race. For any 5K race that takes place during the fall or the milder parts of winter, it’s essential to keep runners warm, but also dry. Wicking and waterproof layers offer a good mix of insulation and breathability for maximum comfort. Consider a sweat-wicking base layer that’s long sleeved and doesn’t cling to your skin. 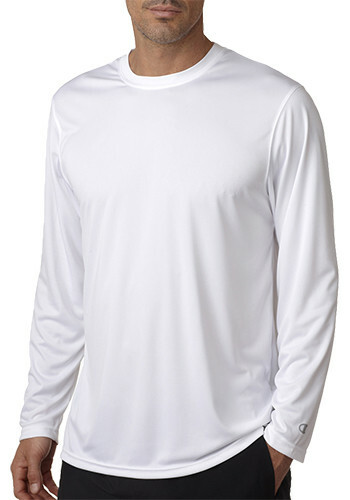 Lightweight long sleeve running tees are a great choice for runners who prefer just one layer. The long sleeve shirts will keep runners warm, but they’ll still wick away moisture to protect runners from having low body temperature (hypothermia) while they’re run. 5K races are about more than just exercise. They’re also fun, social events. Your team of runners will be encouraging one another, working together, and, most importantly, gathering together with other like-minded people to have a healthy good time. But if you and your team are sweaty, sticky, smelly, or uncomfortable, enjoying the social aspects of this race could be tough. 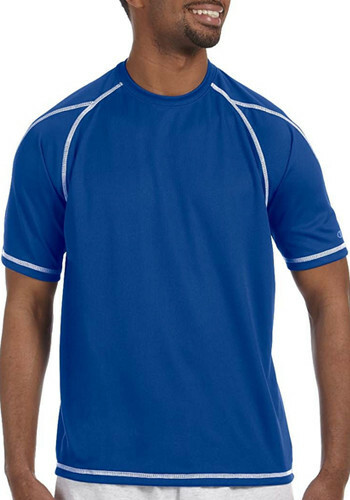 Odor-resistant t-shirts can help your entire team look (and smell!) their best during your race. Nothing is more embarrassing than being the smelly guy or gal on the course, and nothing is more frustrating to other runners around you. The anti-microbial mesh fights odor-causing bacterias and keeps runners dry throughout the race. 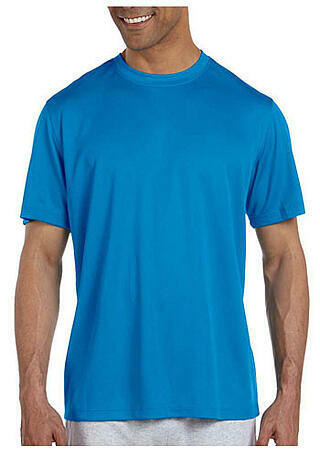 Performance shirts are a great way to keep runners cool, dry and odor free. Some options even provide UPF 30+ protection from the sun, making them a great choice for any race that will take place during hot weather. Sunblock can wear off quickly, especially during a race. So, material that keeps runners dry AND protects from the sun is a great option. It’s never too early to start teaching kids healthy habits, and having them take part in a 5K race is a great way to introduce them to how fun exercising can be. These youth double-dry running shirts keep kids comfortable during races, which can help them form positive associations with exercise. 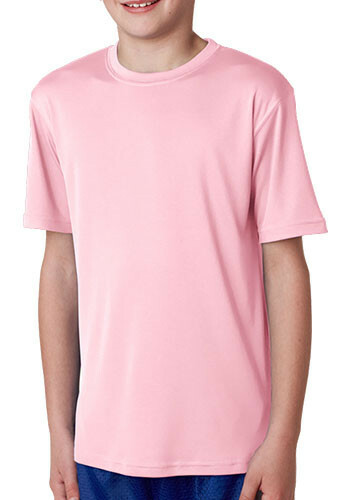 In turn, those positive associations lead to healthier habits, and according to KidsHealth.org, "active kids also are more likely to be academically motivated, alert, and successful.” These custom designed running shirts will help form healthy exercise habits from a young age and keep kids in great shape.